Adult coloring books were the breakout best-sellers last year, with even the BBC's Doctor Who releasing one, and now Ikea is getting in on the fun. 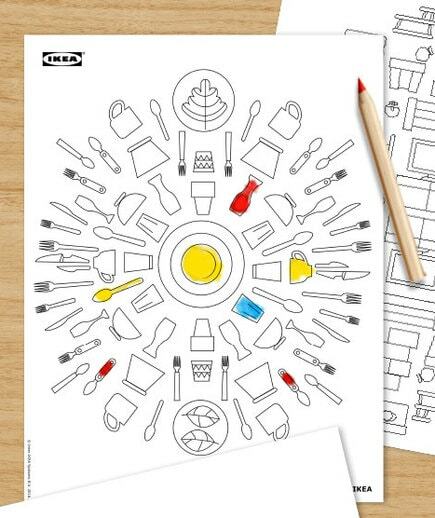 The Swedish retailer has made a coloring book available for download. It consists of five single pages of simple patterns inspired by Ikea fixtures, furniture, plants, and decorations. Print out the pages and you can then unleash your creativity and color them in with your personal touch. You can see a few of the patterns below, and you can download the files from Dropbox. Instructions were not included, which is a shame given that Ikea could have included their usual pictogram instructions and let you color those in as well.